programs for all ages and interests. We look forward to having you and your family join us this summer in our programs. 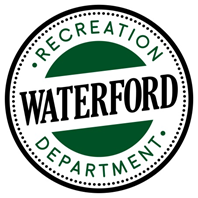 As a partner with the Waterford Graded School system we have embraced and incorporated the mission of the district into our programming and philosophy. We do this by providing knowledgeable and skilled coaches, motivated and enthusiastic staff, officials and instructors; challenging, fun, and rewarding classes and; a safe, positive environment where all participants can explore and reach their potential. We are proud of the programs and classes we offer and are always looking for ways to improve and expand our programs. I hope to see you in our spring and summer classes.